Although a lot of people may be tempted to think that an indoor ceiling fan can act as an outdoor ceiling, it can’t, unfortunately. If it is an outdoor ceiling fan that you need, it is essential that you find the best outdoor ceiling fans that are right for you. Indoor vs. Outdoor Ceiling Fans: Is there a difference? The Westinghouse Comet ceiling fan is a heavy duty outdoor fan that can cover ground up to 360 square feet. 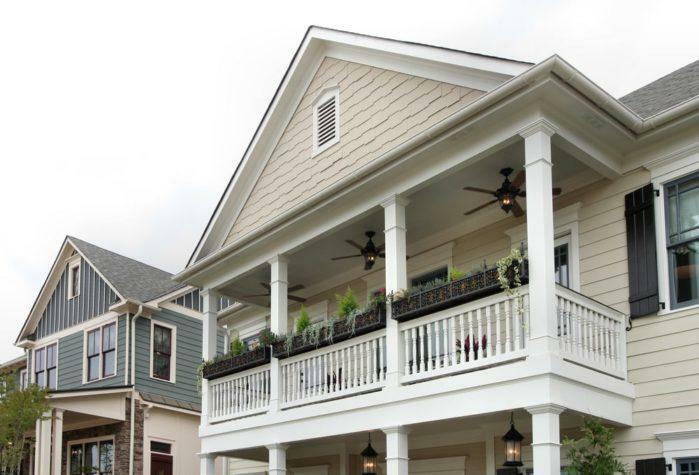 That makes this product ideal for large households with a lot of open areas such as front porches, backyards, and laundry rooms. This extensive coverage is thanks to Westinghouse’ 52-inch blades that make up a total of five. These edges are sturdy but are also safe and efficient. When it comes to efficiency, its airflow efficiency rates at a substantial 90 CFM. On the other hand, the energy usage is also impressive, beginning at 56 watts without lights only. However, Westinghouse shines the brightest as a versatile outdoor fan. Its air movement is not only powerful, but it can change by a flick of a switch. You can transform this fan to fit during winter or summer by changing its airflow pattern. All of this is possible thanks to its reversible switch! Hunter Fan Company enters my list and makes it as the runner-up. Make no mistake though, because Hunter Bayview is a formidable opponent of the Westinghouse. In fact, you can make a case here that this can be the best product too. It’s all just a matter of my preference. So, what makes this so unique? For starters, Hunter Bayview boasts excellent speed with efficient airflow. The catch here, however, is that Hunter Bayview is as quiet as a mouse. That makes it perfect for relaxing outdoor areas at home where you want a gentle breeze without noise. Its large edges paired with its efficient motor can give you fresh breezes in large outdoor areas! Now, if you’re looking for a product that is durable but is also a bit cheaper than the rest, then Hunter’s Builder Elite Ceiling Fan might be a good option for you. Specifically, this is a damp rated ceiling fan. It comes with an opportunity for expert installation. You merely have to pay a few more bucks. It features a WhisperWind motor that is both powerful yet quiet, giving you maximum air movement and cooling power. But most importantly, it comes with a limited lifetime motor warranty. Casa Delta-Wing is my upgrade choice for this article because it’s exceptionally good at a high price. If you’re the buyer, who believes that the higher the rate, the better the quality, this one is for you. You’re going to spend upwards 200 US dollars for this fan. However, you’ll get excellent airflow performance with no noise. Moreover, the aesthetics and ease of installation give added charm to this ceiling fan. Not only does it make the ceiling a lot sleeker to look at, but the three-blade design makes cleaning easier! Finally, my last pick would be the Emerson CF130WW Tilo from Emerson Ceiling Fans. That makes it my niche pick of this article. I chose it as the niche pick because it’s the best indoor and outdoor ceiling fan in my opinion. If you’re a fan of uniformity, then you might want to consider getting this both for indoor and outdoor purposes. What makes the Emerson so good at these two areas is its size and functionality. The Emerson Tilo’s airflow movement and speed can be significant for bedrooms, verandas, balconies, and even bathrooms! The speed control is mounted just on the wall; it can’t be more convenient than that! Just as we mentioned earlier, although indoor ceiling fans work similarly as outdoor ceiling fans, there is a reason why they are named differently. It is crucial that we make an apparent distinction between the two. Indoor ceiling fans are never meant to be outside due to their build. They are usually designed to have more variety both in style, feature, and colors. On the other hand, outdoor ceiling fans do not have much variety in appearance due to the materials used to build them. However, outdoor ceiling fans do have types (which we will discuss later on). Both two forms are designed to withstand harsh outdoor conditions as well as different levels of humidity. Unlike indoor ceiling fans that can either short or break when exposed to moisture. That can cause potential hazards or even start a fire. Which is why if you plan to install the ceiling fan outdoors, do not compromise and get one that is suitable for the purpose. The two types of outdoor ceiling fans are wet rated and damp rated. Wet estimated fans are made to withstand heavy moisture, rain, snow, wind and other wet elements. Most often than not, this fan type is sealed to protect it from moisture. Its wirings have designs that avoid shorting. With the fan blades made of durable ABS plastic, this type is pretty easy to clean as well. You can just clean it off with a garden hose. Places such as gazebos, open-air decks, verandas (especially those near the sea) will benefit a lot from this type of outdoor ceiling fan. On the other hand, damp rated ceiling fans are meant to withstand humidity. Usually protected in, the interior wiring of damp rated fans are also pretty durable similar to the wet rated. Its motor makes use of a non-corrosive cover as protection. However, unlike wet rated fans, damp estimated fans are not built to withstand direct contact with snow, rain or wet elements. Which is why they are best places in enclosed, exterior spaces such as patios and garages. Laundry rooms and bathrooms are also okay. Again, if you are looking for a wet rated ceiling fan, do not substitute it for a damp rated one. That will merely save you more time and effort as well as protect you from accidents. The ceiling fan size is also another important thing to consider. That is about the size of the place where you are planning to install it in. If the site is pretty big, it is best to get a ceiling fan with bigger blades and a more powerful motor. This way, you can prevent wearing out and getting the ceiling fan broken. On the other hand, if the place is quite small, then get a lower ceiling fan. That is especially true if there is little space for the blades to rotate. Remember that the installation and location of the fan are also necessary with regards to its size. And the last factor would be the overall quality of the ceiling fan. The element is a given. If you are planning to use the ceiling fan for quite a long time regularly, then it is essential that you get one made with quality materials. Quality materials can withstand extreme weather conditions and temperatures as well as extended usages. 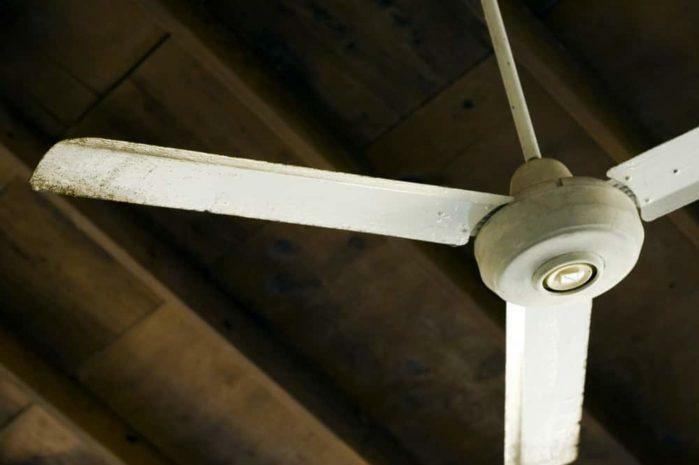 If your area has high humidity, then it is best to get a ceiling fan that doesn’t quickly rust or corrode. The most common ceiling fan materials you’ll find might be aluminum/stainless steel, powder coated metal, wood and such. But side from highly durable materials, it would also be ideal if you were to find one with warranty. Knowing your place well enough is also key to finding the best quality outdoor ceiling fan for you. Do not be afraid to research more about other factors to consider when buying such as the price and features. Choosing the best outdoor ceiling fans can be tricky, especially since it’s a long-term investment. There are a lot of factors that we need to consider. But remember, the most critical factor is how it fits with your house’ architecture. With that, consider the location where you’ll put the fan. Do you need a robust fan because it gets humid outside? Will you put it near salt water? Or do you need a ceiling fan for aesthetic purposes only? Take all of this into consideration. With that said, for my personal preference, I find the Westinghouse as the best outdoor ceiling fan. My basis for this is mostly thanks to its airflow efficiency, versatility, and convenience. Still, I reviewed a lot of products above, so don’t hesitate to check them out. Good luck!